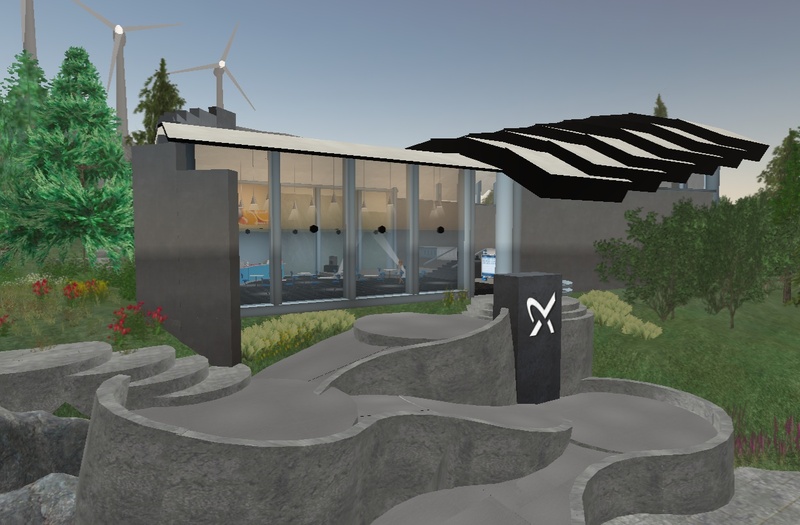 Sustainability is the main subject when Grundfos the pump group open the doors to a brand new world in the virtual universe of Second Life on September 12th. “New ideas, the option to invite users to take part, dialogue across national borders, innovation power and a large amount of curiosity are the reasons why Grundfos is going to open a new and completely different island in Second Life,” said Thomas Koldbæk from Grundfos eBusiness & -innovation. Grundfos is primarily entering the three dimensional universe with the purpose of learning. “We want to examine all the possibilities of the computer made worlds. The natural way to enter for us is to focus on sustainable development, and so we have built up our island with environmental issues and energy consumption as the main topic. We want as much interaction as possible. In several places visitors are invited to support projects that, in the longer view, will result in initiatives in the real world. For instance, users of Second Life are invited to buy virtual SQ Flex installations and thereby contribute to the donation of one real SQ Flex installation for a water supply project in Africa in the real world”, Mr Koldbæk explained. “We have used quite some time to decide how and why we want to be present in Second Life. Our island is of optimum quality and facilities and buildings have inviting and exciting designs. Users are constantly invited to be active. Grundfos will let the island live for about six months, during which time we shall take stock and evaluate the efforts and benefits,” Mr Koldbæk said. Grundfos also want to clarify the trends of the virtual worlds now and in the future. “The virtual universes are right now going through a phase of experimentation. Our approach is focusing on our commitment to sustainability and our corporate values. The primary aim of Grundfos is to learn and then analyse what use we can make of the virtual universes. For instance, this could be a forum of co-operation in which we arrange meetings and conferences with all the parties interested in our business,” Thomas Koldbæk concluded. To visit Grundfos Energy Saving Island, all you need is to have Second Life installed and click here. To promote the official launch today, a rather intense schedule of several events are scheduled. They include a DJ and a live piano player, as well as a series of presentations related to sustainability. 1:00 to 1:45 pm – Brazillian Music — DJ Speelo Snook. 2:00 to 2:30 – Climate Changes — John Galland, RL climate scientist and researcher presenting the latest scientific thinking about global climate change. 2:45 to 3:15 – You Can Make a Difference — RiverSong Garden will tell about projects in African villages.